Make a fashion statement that inspires others to look for beauty that extends beyond the garment. Our only project that doesn’t include stitching was first delivered during Stockholm Fashion Week and can be done by individuals and groups around the world any time of year. This project is in support of Fashion Revolution. The collapse of a Bangladeshi factory in 2013 saw 1,138 garment workers killed and over 2,500 injured. There had been signs of structural failure the previous day, but workers were ordered to return to work regardless. 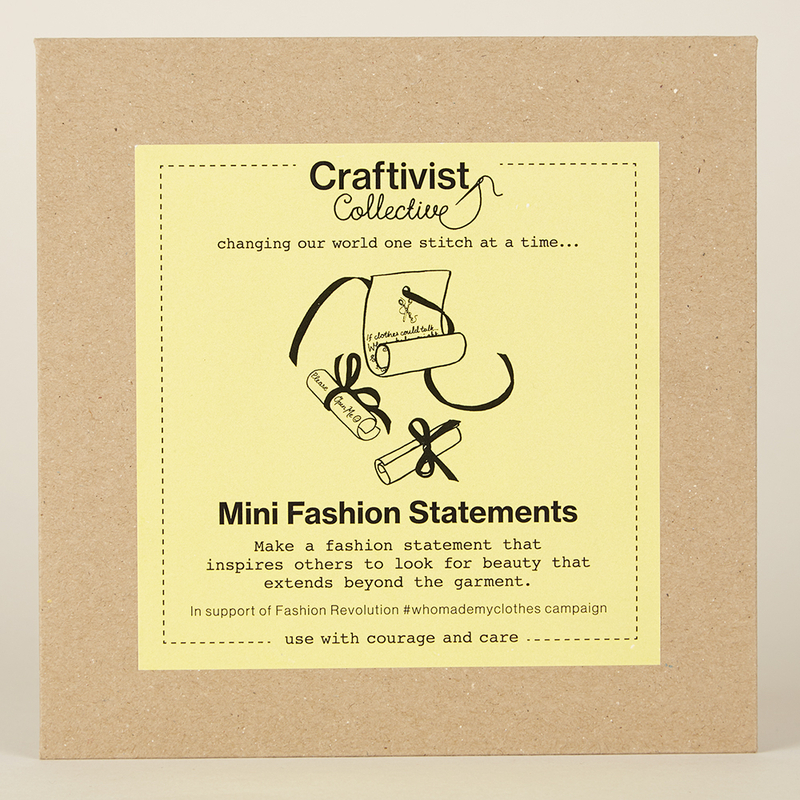 Our ‘Mini Fashion Statements’ project and kit is in support of Fashion Revolution, a global movement born in the wake of the disaster, which calls for greater transparency, sustainability and ethics in the fashion industry. 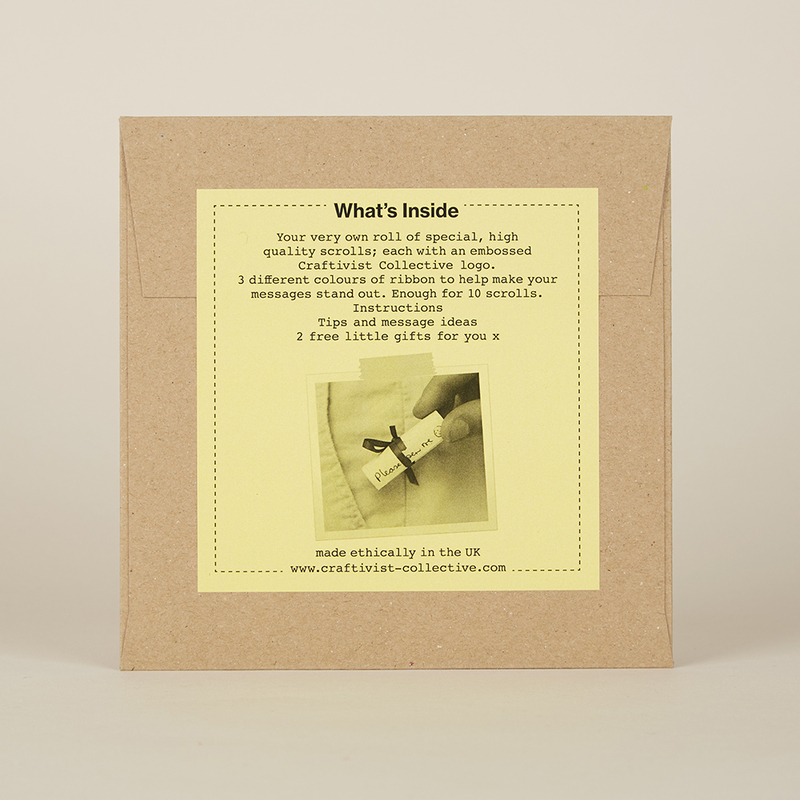 Our pocket-sized scrolls are powerful and poignant little reminders of the role we can play as consumers. They’re designed to make us think about how the clothes we buy and wear are made, and how we might be able to help tackle problems like, poor conditions for workers or the use of materials that are damaging to the environment. 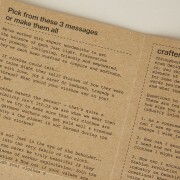 Pick from the three messages we’ve created, let the words really sink in. 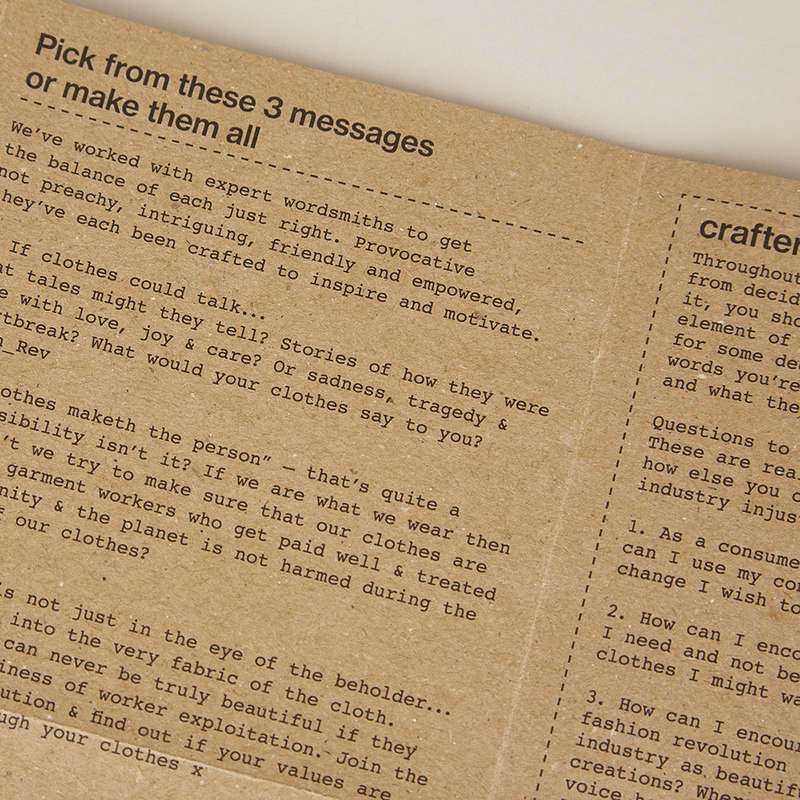 Take them to your heart and mind and use them to inspire others to speak out on behalf of fashion industry injustices. We’ve worked with expert wordsmith Ed Gillespie and his team at Futerra to get the balance of each just right. Provocative not preachy, intriguing, friendly and empowered, they’ve each been crafted to inspire and motivate. 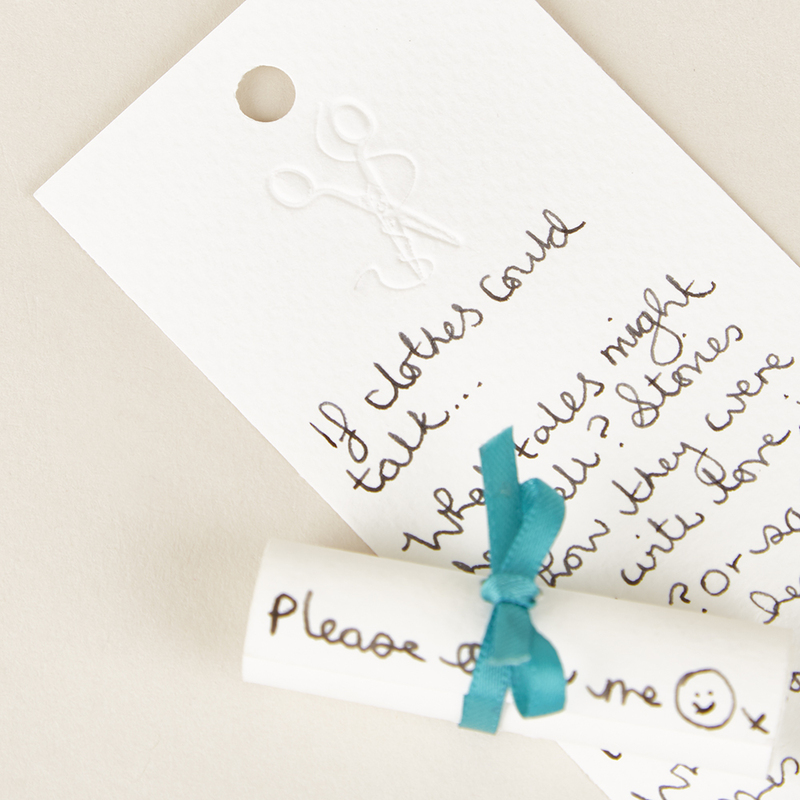 We encourage you and fashionistas every year to lovingly handwrite messages onto beautiful paper and wrap them delicately in ribbon to place in clothes pockets in shops, fashion show seats and other secret places for people to find. 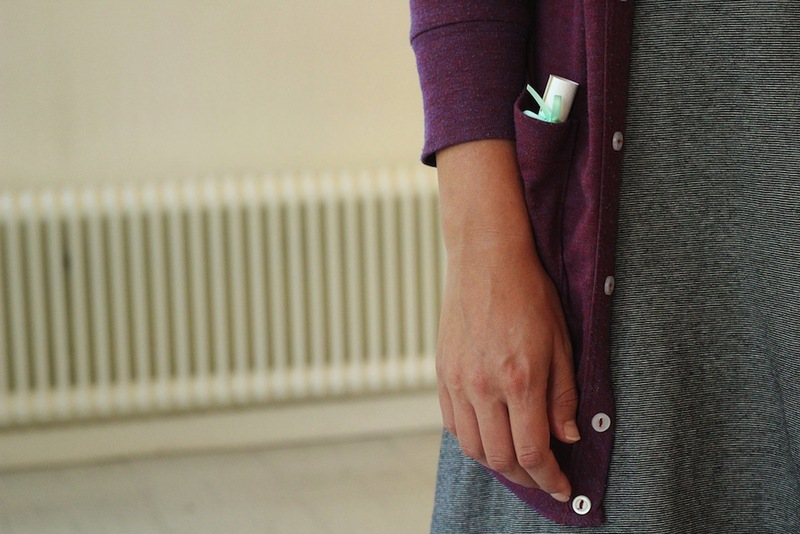 Will you find on in your pocket? There is something special about using and seeing a fountain pen being used. 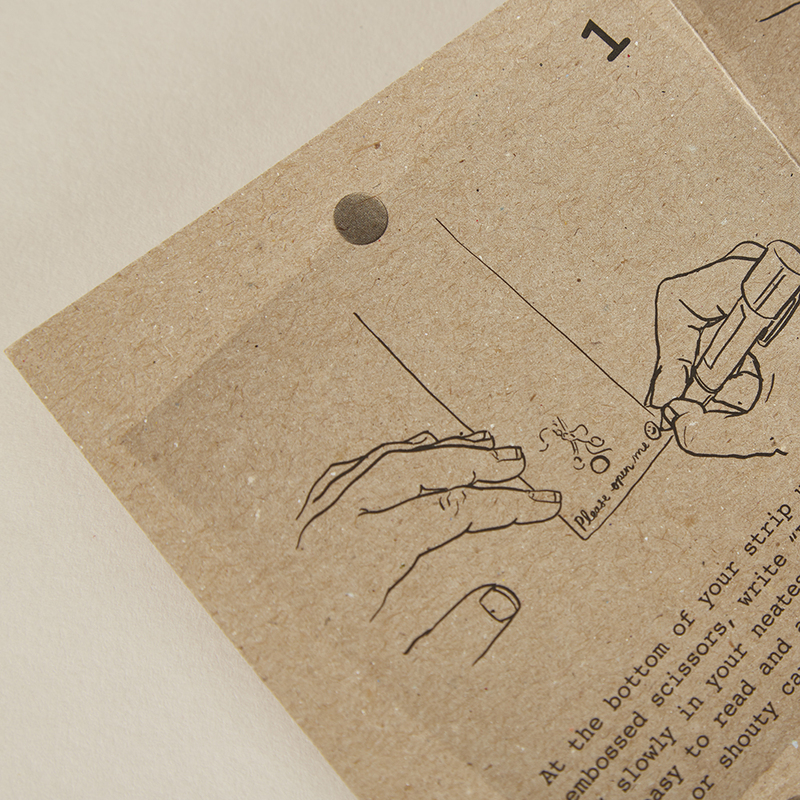 Why not make your scroll even more special by writing with a fountain pen? Your covert mission, should you choose to accept it, is to pop a little inspiration – your scroll – into the pockets of clothes you feel represent the issue you’re addressing. 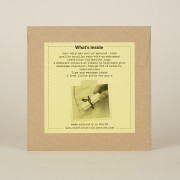 This under-cover ‘shop-dropping’ mission will mean your message is delivered with the added spice of surprise once found. Give some thought to where you will hide it. A friend or colleague’s pocket perhaps? Or inside a garment hanging up in a shop you think should improve their practices. 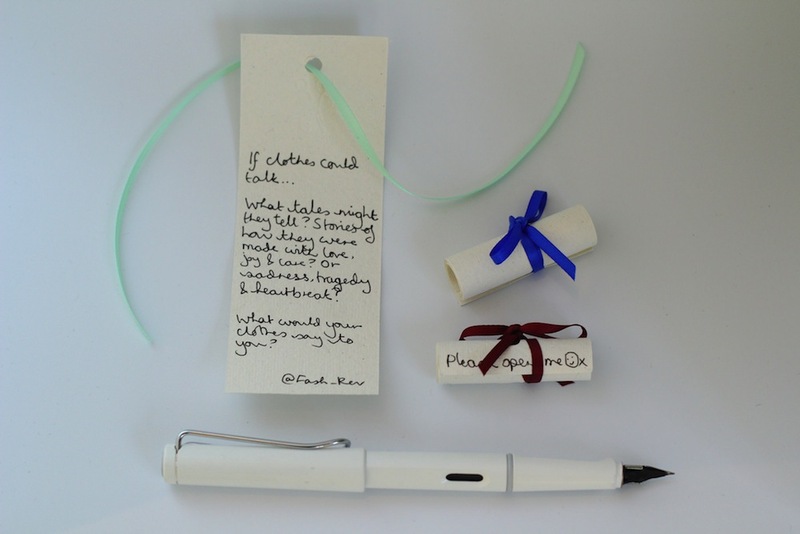 The finished scrolls, tied with a pretty bow and featuring an invitation to “please open me”, a smiley face and a kiss, can then be ‘shop-dropped’ into the pockets of garments in fashion stores, or clothes worn by family, friends and colleagues. This deliberately non-confrontational form of ‘guerilla activism’ using handcrafts is a designed as an alternative to some the more traditional aggressive types of activism. 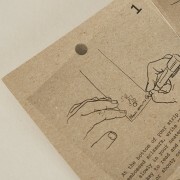 Your pocket-sized scrolls are powerful and poignant little reminders of the role we can play as consumers. They’re designed to make us think about how the clothes we buy and wear are made, and how we might be able to help tackle problems like poor conditions for workers or the use of materials that are damaging to the environment. 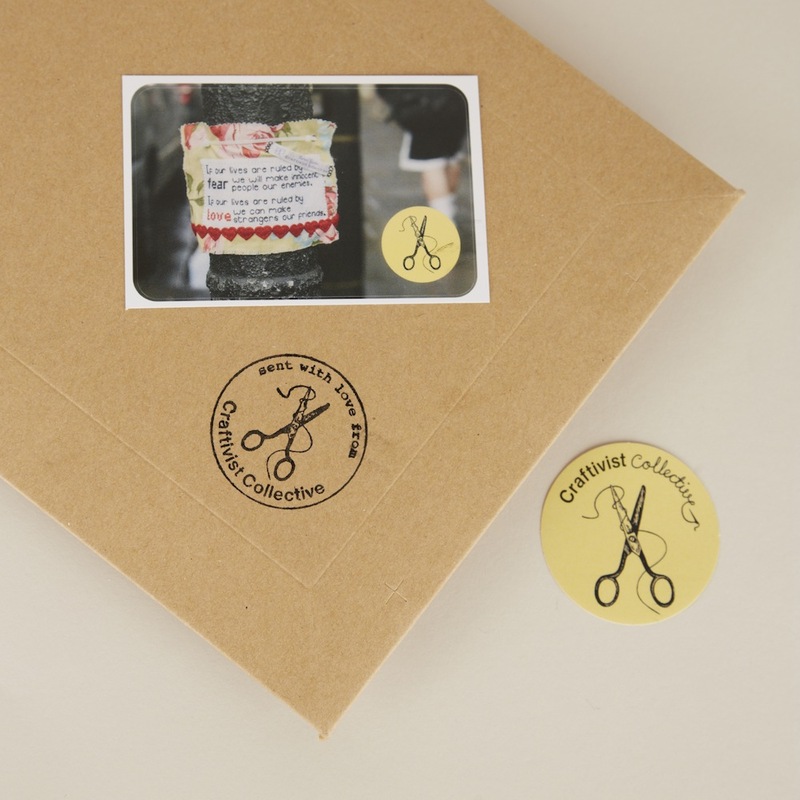 Your very own roll of special, high quality scrolls; each with an embossed Craftivist Collective logo. 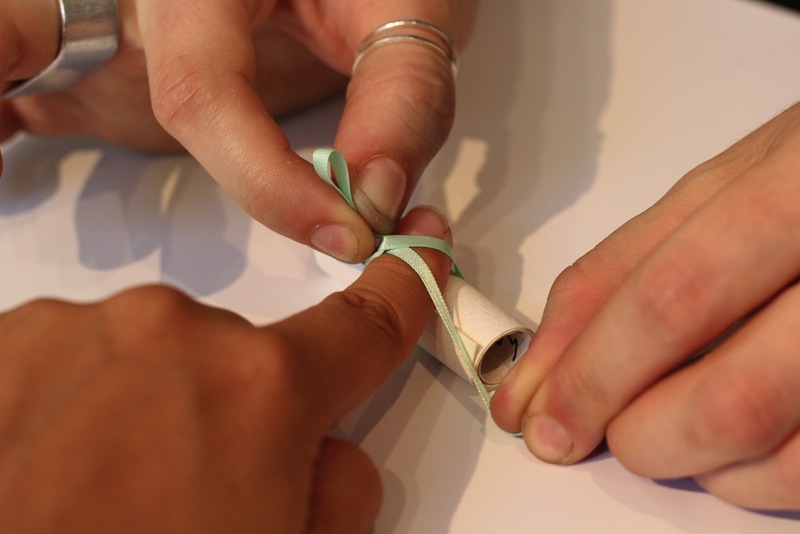 Three different colours of ribbon to help make your messages stand out. Enough for 10 scrolls. 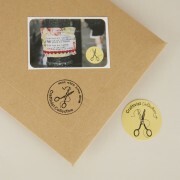 Made ethically in the UK, each item you buy comes with 2 free stickers through the post. Make a fashion statement that inspires others to look for beauty that extends beyond the garment. 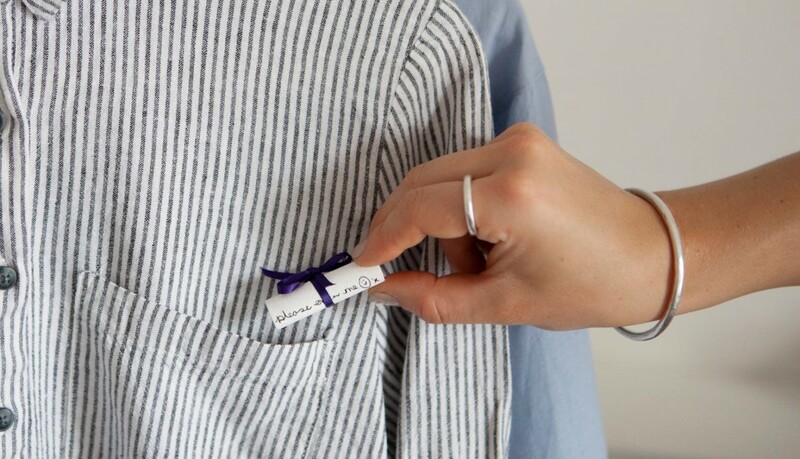 Adorable idea and a cool way to start a sweet relationship with the garment you are about to buy. Congrats! !